When learning how to make bread for a crowd many things need to be taken into consideration. Of course we want to offer our guests great “attention getting” foods. 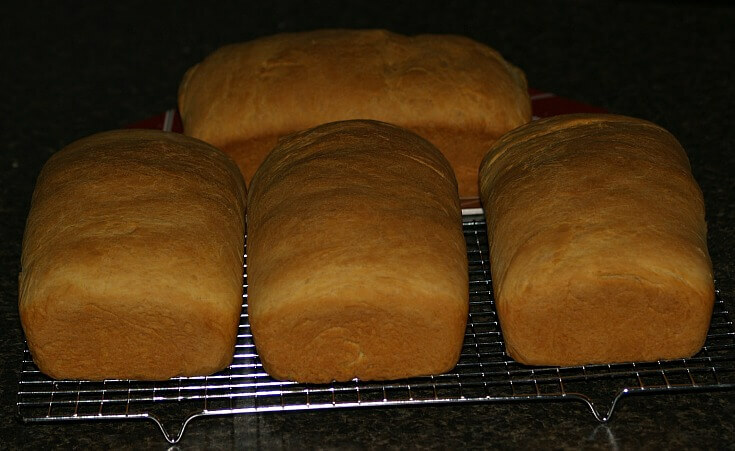 Nothing gets that “Oh my gosh moment” like fresh homemade bread. Even though we strive to prepare our best we still must consider the time each thing takes to prepare. For instance, one time I attended a dinner and the hostess wanted to offer her homemade croissants. Besides bringing them way too late to the dinner table, they were not given enough time to rise making them pretty heavy. In this case, an easier bread with good flavor and texture could have been prepared. If you are just learning how to make bread for crowd, remember to account for the preparation time. 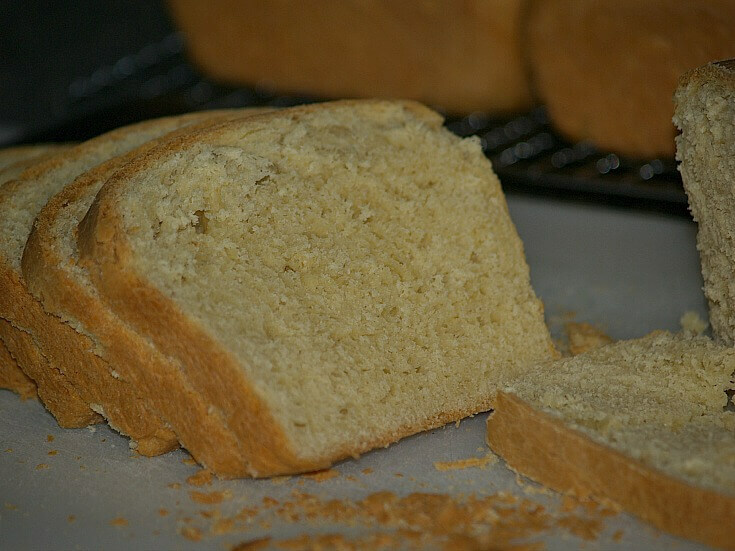 With yeast breads, sometimes there are two to three risings which could amount to three to four hours of rising time. Most of the time this is simply too much time to allow for preparing only one item on the menu. When cooking a large dinner, especially for a crowd, consider “short cuts” which can be taken. Many recipes can be prepared ahead of time, even a week or more and placed in the freezer. This really saves time! I usually never purchase any prepackaged foods but sometimes they are helpful to use. When learning how to make bread for a crowd, consider using some of these. By adding your own touch of ingredients this prepared products become a specialty of your kitchen. Think about using hot roll mix, refrigerator crescent rolls, cornbread mix and self rising flour to save steps in your busy schedule. Another practice which I have found very time saving, especially for breads is to make mixes way ahead of time. Biscuit baking mix is so easy to mix ahead. It is also very cheap to mix and can be used for many different recipes. I like the recipe below because it is so easy to make biscuits for breakfast. All you need for the “last minute” mixing is water. Not only is it easy but also makes really good biscuits. Do not forget that it is so important to plan for your time. Make out a schedule showing how much time you have to spend on each menu item. This will let you know how much time you have if you are learning how to make bread for a crowd. Learn how to make bread for a crowd with this biscuit mix. By combining the ingredients ahead this biscuit mix makes breakfast bread for a crowd quick and easy. The only thing you will need to add is water. Combine flour and dry milk in a large bowl; cut in the shortening until well blended. Store in air tight containers; glass jars, large zip lock bags, etc. WHEN READY to make biscuits for your crowd gathering PREHEAT OVEN TO 400F degrees. NOTE: Plan for 2 cups of mix making 10 to 12 round biscuits; plan for 2 biscuits for each adult. Measure out the amount of biscuit mix that you will need; add enough water to make soft dough. 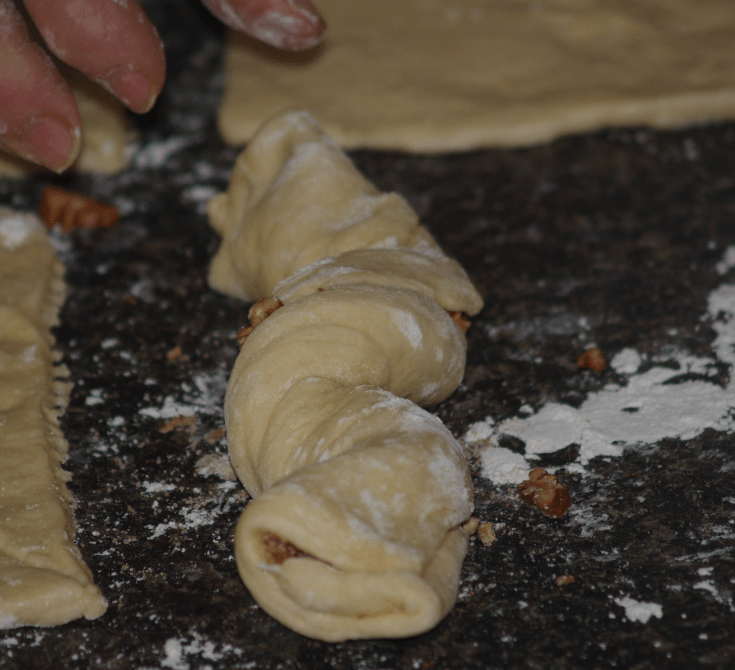 Roll dough out to ½ inch thickness; cut with biscuit cutter. Place on greased baking sheet and bake until golden brown about 12 to 15 minutes. Learn how to make bread for a crowd with this easy to slice recipe. In a large bowl combine yeast with the milk; stir in sugar and let set for 10 minutes. Whisk in 1 cup of the flour; cover and let set for 1 hour. Beat in the eggs and softened butter; stir in enough flour to make a dough. Turn dough out onto a floured surface; knead until smooth and elastic. Cover dough and let rise in warm place until doubled in bulk. Punch dough down and divide into 5 or 6 parts; (5 loaves 9 ½ X 5 ½ inch) (6 loaves 8 X 4 ½ inches). Shape into loaves and place in greased pans; let rise. Bake about 35 minutes until browned and sounds hollow when tapped. Learn how to make bread for a crowd in brioche pans. Soften yeast in warm water in a large mixing bowl. Add buttermilk, eggs, butter, sugar, baking powder, salt and 4 cups of the flour. Beat on low speed of mixer until well blended; mix in enough flour to make soft dough. Turn dough out onto floured surface; knead about 5 minutes until smooth. Grease 48 medium size muffin cups divide dough into 48 equal parts. Remove about 1/5 of the dough from each part and roll all parts into balls. NOTE: You should have 48 larger balls and 48 small balls. Place the large balls in prepared muffin cups. With finger press deep indentation in center of each large ball. Place smaller balls in the indentations; let rise in warm place about 45 minutes. PREHEAT OVEN TO 350F degrees; bake until golden brown 20 to 25 minutes. Remove from pans immediately; brush each with butter and serve warm. 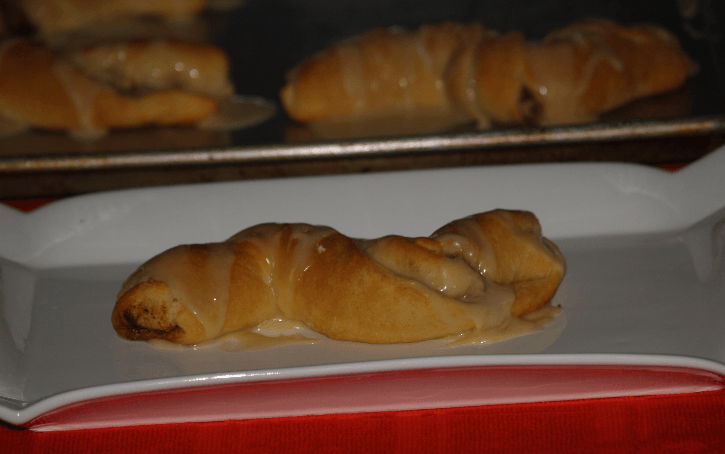 Learn how to make bread for a crowd using packaged crescent roll dough. In a bowl combine pecans, sugar, cinnamon and nutmeg; mix well and set aside. Separate each can of dough into 4 rectangles; firmly press perforations of triangles to seal. 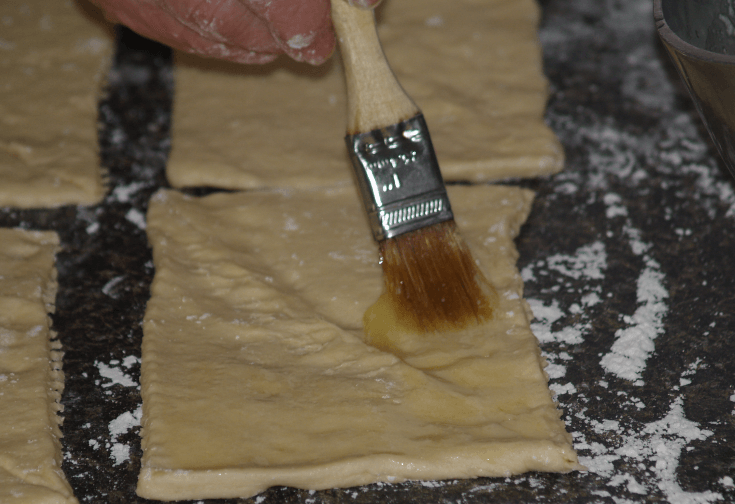 Brush rectangles with melted butter; sprinkle each with 1 tablespoon nut mixture. Starting at long side roll up each rectangle pinching edges to seal. Twist rolls and place on greased baking sheets; repeat with remaining cans of dough. TO MAKE GLAZE combine all glaze ingredients adding enough milk for drizzle consistency. NOTE: This is a good size for serving with coffee or tea. They could be cut in half if serving for a brunch or with a breakfast making 64 small rolls. Learn how to make bread for a crowd by serving these delicious griddle cakes. In large mixing bowl sift together flour, baking powder salt and sugar; set aside. In another bowl beat eggs; beat in the milk until blended. Combine egg mixture with the dry ingredients; on low speed mix just to blend. Add the melted shortening and mix until blended. NOTE: If you want a thinner pancake add a little more milk. Measure batter onto hot lightly oiled griddle (1/4 cup for small or ½ cup for larger). Learn how to make bread for a crowd for 75 rolls. Dissolve yeast and 1 teaspoon sugar in 2/3 cup warm water; let stand 15 minutes. Cream 2/3 cup sugar and Crisco; beat in eggs until light and fluffy. Add yeast mixture, 2 cups warm water, salt and flour; work into dough. Let rise in refrigerator overnight. Shape dough into 75 rolls; place on greased baking sheets. Let rise in warm place for 2 to 3 hours until light; bake until lightly browned. Learn how to make bread for a crowd with this recipe for Italian rolls. Prepare both hot roll mixes according to package directions using water, butter and egg. Knead dough; let rest according to directions. Combine pine nuts, Parmesan cheese, parsley, basil and garlic; set aside. Divide dough into 2 equal parts; on lightly floured surface roll 1 part to 18X18 square. Brush square with melted butter; sprinkle with half of pine nut mixture. Roll up square, moisten edge and press to seal; cut crosswise into 12 equal slices. Place bread with seam side down on lightly greased baking sheet. Bake bread as directed on the hot roll package; serve warm. Makes 2 loaves/ 24 slices. Learn how to make bread for a crowd with this cinnamon roll recipe. You can UNDER bake them to a very light brown. When ready to serve simply reheat a few minutes and then add the glaze. Melt ½ pound butter and add milk; heat just below a boil and then cool to warm (112F degrees). Dissolve the yeast in the warm water; set aside 5 minutes. In a large mixing bowl combine eggs, ½ cup sugar and salt; add cooled milk mixture and yeast. Gradually add flour mixing slowly with mixer until a soft dough forms. By hand stir in enough flour for a large dough ball forms; place in greased bowl. Cover and let rise in warm place until double in bulk; punch down and knead about 3 minutes. Melt remaining butter and set aside; combine cinnamon and remaining ¼ cup sugar and set aside. 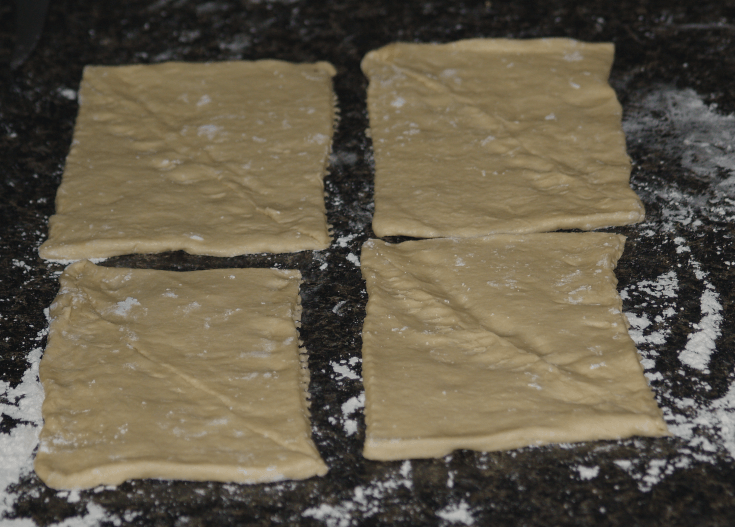 Divide dough in 4 parts; roll each part into a rectangle. 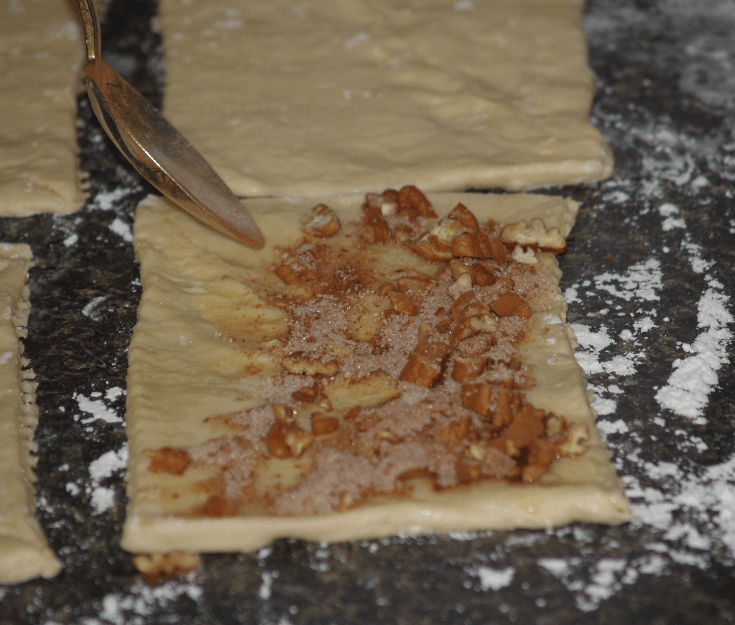 Brush rectangles with remaining melted butter; sprinkle each rectangle with a FOURTH of the cinnamon sugar. Starting at the short end roll up jelly roll style; cut in about 1 inch slices and place in greased pans. Brush tops with melted butter; let rise again until double. Bake until lightly browned; remove from oven. Brush again with melted butter and let cool. TO MAKE GLAZE combine glaze combine powdered sugar and cinnamon. Slowly beat in the milk until smooth; spread over rolls.